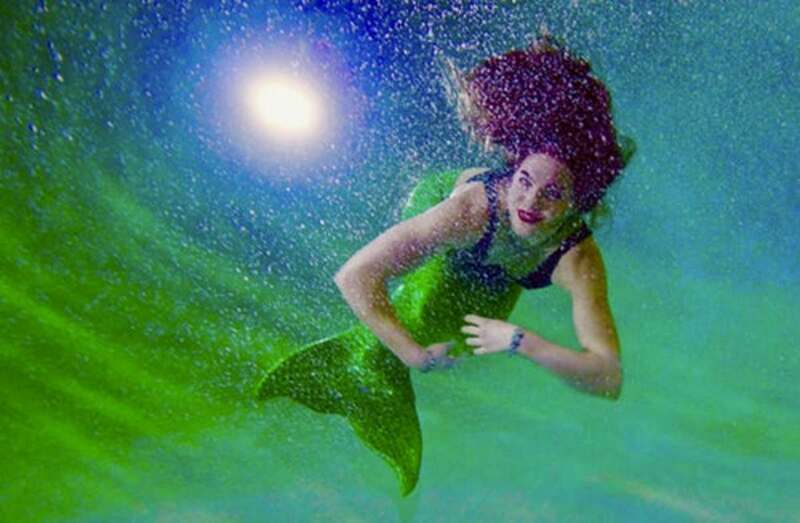 The official theory on mermaid myths and sighting is mermaids are simply sea cows, which sailors have mistaken for mermaids. 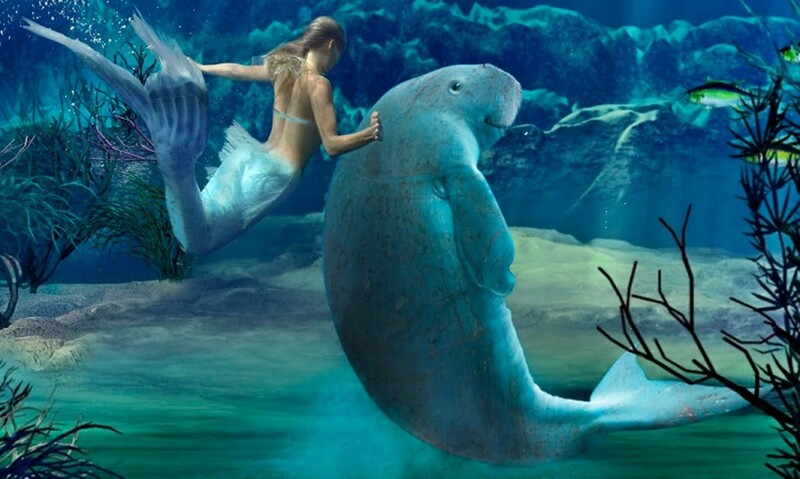 This theory suggests that sailors in the past were half-wits and idiots simply because a sea cow looks nothing like a woman with a fishtail. Also most myths and stories come from Europe where there are no sea cows. 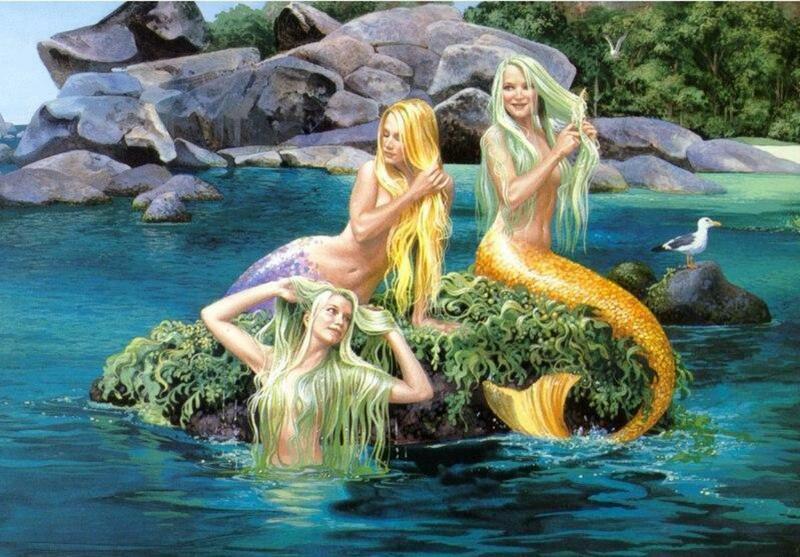 Having studied mermaid legends and sightings of the past I have come to a completely different conclusion. 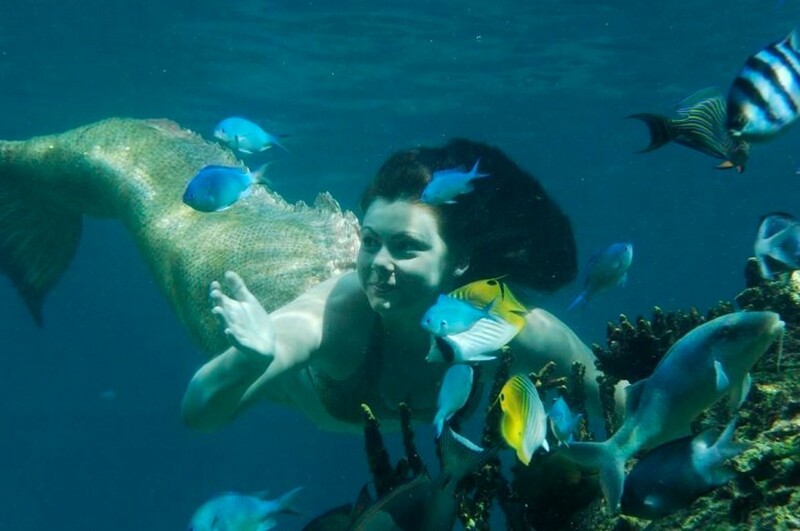 What I have come to realize, is that mermaid are not mythical creatures or sea-cows but real life women. And surprisingly mermaids still exist even today in places like Japan, Korea and other Southeast Asia countries. In Japan and Korea they are called Ama and haenyo divers. 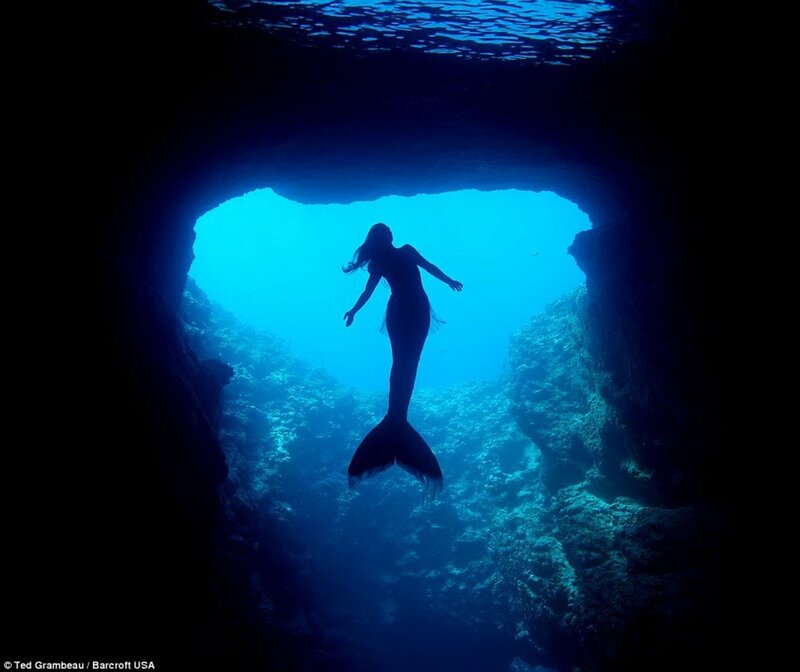 I have come to the conclusion that there were once similar divers in Europe, Africa, America and even Australia, and these were the mermaids of legend. 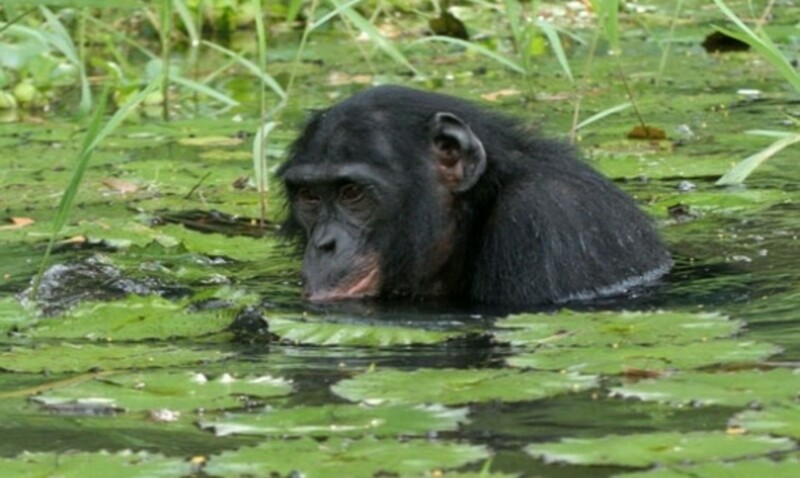 I have also written about the Aquatic Ape theory as advocated by Elaine Morgan. This theory explains why humans are so different from any other species of ape, simply because we were once a semi-aquatic ape. The theory explains how we learn to walk on two legs, to talk, to grow a larger brain than any other ape and why we lost our hair. Or stories of mermaids who grow legs when they come to land and grow a fish tail when they go back into the sea. Surprisingly there are logical explanations for these magical tales. 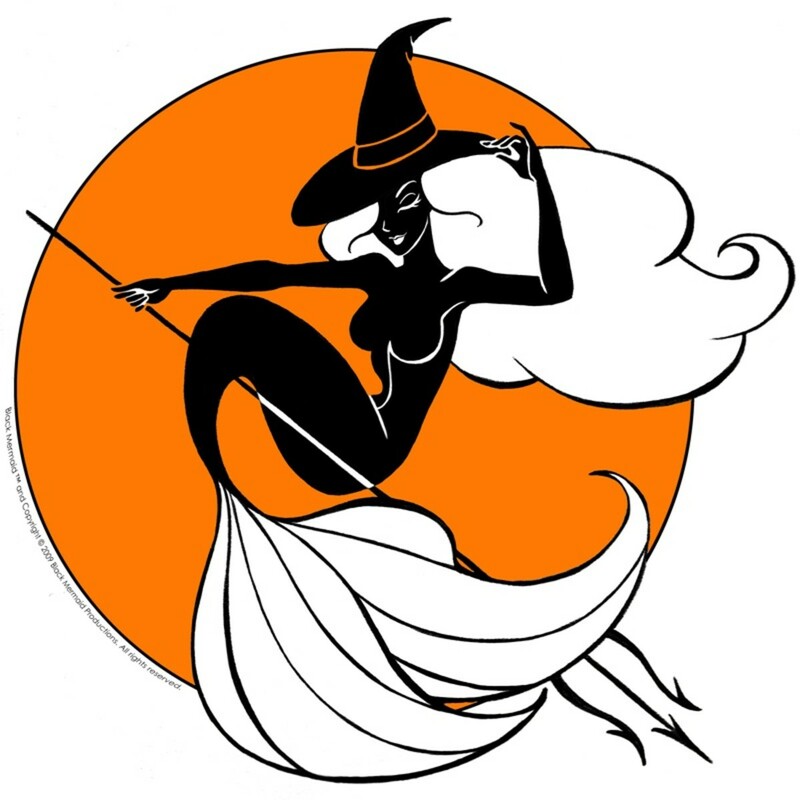 It seems that mermaids and witches were gathering people who continued to forage for food in swamps, lakes, rivers and on the seashore, while most other people had switched to farming. Breath-holding divers, (mermaids) probably continued up until the 19th century in remote places like Northern Scotland, the Orkney and Shetland islands. Hi William, thanks a lot. FYI, for some recent information on ape & human evolution, esp. the waterside theory, google e.g. -not Homo but Pan naledi. To be truthful my interest is matriarchy. I personally think it is very difficult to create a society where the sexes are equal, except in the brief period in the changeover from patriarchy to matriarchy or visa-versa. Likewise i am interested in ancient myths and architypes but only in relation to what they can tell us about the last matriarchal age. I only came across one Polynesian mermaid story which i didn't include into my book, because it was a bit negative about mermaids. From what I remembered it was also a flood story, (The mermaids off course got the blame). There is a number of web -sites on the internet on Ama and haenyo divers most don't go into it too deeply but will give you an introduction to the subject. Anyway thank you for your welcome i hope things now will work out a lot better than they started. I haven't read &quot;The Mists of Avalon&quot;, i have heard about it but never got around doing it. I looked at your hub and agree with what you say except i think the roots of the Arthurian stories are pagan. They had to be Christianised to survive in the patriarchal age. I will have to look up your hub on how to make a hub-page. I'm glad to finally get to see this Hub, and am looking forward to many more! I've always been fascinated by ancient myth and archetypes, and how they shape the world even now. And it's high time we moved from patriarchy to people-archy. Do you know of any Polynesian mermaid stories. I am fascinated with the South Pacific, so if you know any stories about Polynesian mermaids I would be interested. Anyway, glad you got the hub thing working, welcome to the neighborhood. Well then we agree. When Rome conquered anything they replaced anything that was feminine with masculine. We are in for a true revolt until 2012. The femine can only be suppressed for so long and then --here we come! I would like to think it is more like The mists of Avalon in the accounts therein. It is prophesied that the feminie is to come back at this time. I believe I was in Camelot and an a true descendant of guine or there abouts. You may read my hub about why I chose her name and also the one I Heard. My views on King Arthur are a bit unconventional so i don't know what you or your friend Mistyhorizon might think of them. In other words, i am more interested in the matriarchal interpretation of the King Arthur stories than the patriarchal interpretation. Yes I am into King Arthur and the Priestesses of Avalon. There is another lady on here that is too and you might want to join her fanclub if you haven't already. She left a message about it on my fanclub messages. I get typos so her name is mistyhorizon. Thank you for your message of support. My mermaid blog is more than an article, it is now a whole book. It did start off as an article but as I learnt more and added to it, it end up as a whole book. I have mentioned the dragon myths in my book, also the fact that mermaids were called &quot;dragon wives&quot; in China and refered to as amazons in Korea. But i also discuss the archeological finds of Amazons. As well as amazons in America. From your name you seem to be into King Arthur. 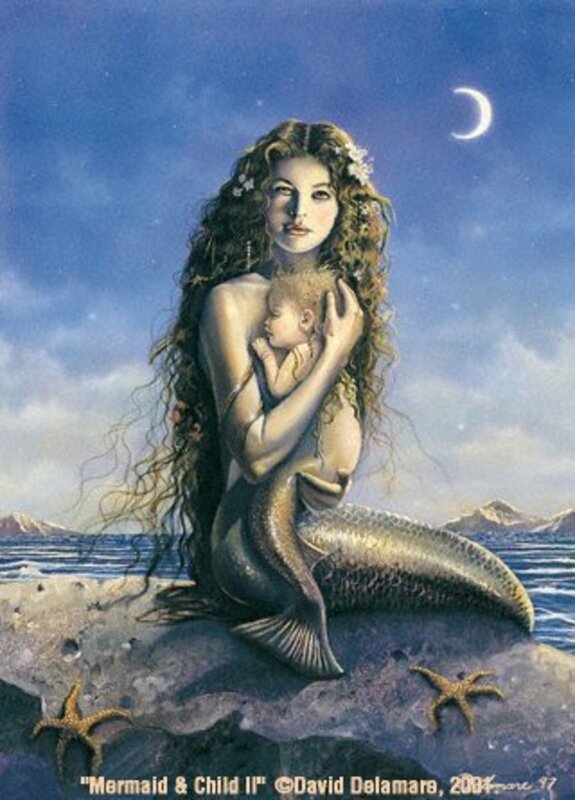 I do also write about Morgan Le Fay and the ladies of the lake, as they are also connected to Mermaid legends. 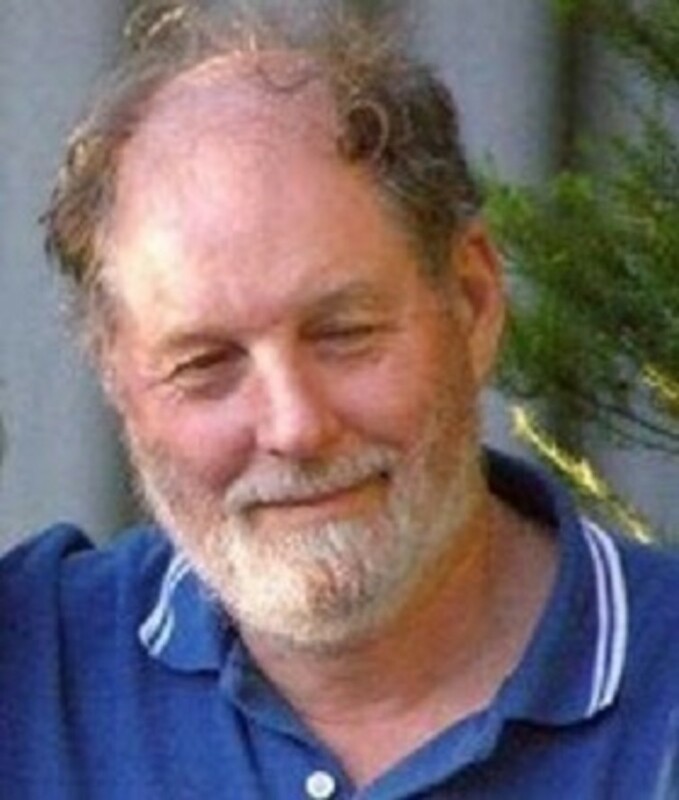 Hi William Bond - Great to see you here - look forward to reading more of your writing! I do believe in mermaids too. I also don't think they are sea cows, manatees or the like and you are correct in that they look nothing like that---not even close. I would like to see the rest of your article about amazons and the like. Do you have one about Dragons and other so called mythological creatures that I do believe exists too. There are way too many accounts from all over the world to be myths. 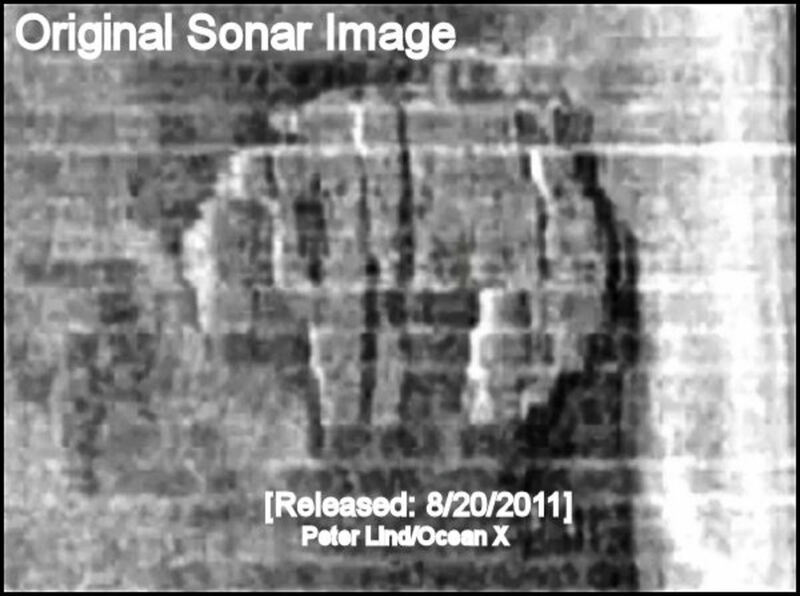 Sea monsters do exist and they now know it with the giant squid and if those exist so can other creatures they call myths or made up. At present the only way i get published is on the internet, either as a blog or with Lulu.com. Yes, i am trying to write another book but I am willing to discuss anything about my book/blogs now if you like. Very interesting research about mermaids and I hope you come back to share more after your book is published. Thank you Steve for all the support and help you have given me in getting my hub up. I am delighted to see you have got your first hub up at last, William! Apparently Hub page got rid of it because i made a few mistacks building it. Which pissed me off, but i looked at it again and it reappeared so i just corrected the mistacks and hopefully it will be all right this time. Thank you for all your efforts in educating the public. People need to experience this now. This is the start, of the new era. I'd say it's about time too. Thank you for &quot;Classing Up The Joint&quot; here William...We need you here at hubpages, and I'm sure the whole crew welcomes you!